Johnny Depp is regarded as one of the most successful and marketable actors in Hollywood industry who has been casted in a variety of roles throughput his acting career. Beginning his show business career in 1980’s, he is widely known for playing captain Jack Sparrow in the Pirates of the Caribbean film franchise. He has been a part of several box office hit films like Alice in Wonderland, Charlie and the Chocolate Factory and The Tourist and not to mention Pirates of the Caribbean film series. He has received nominations for Academy Award for Best Actor three times and and won the Golden Globe Award for his role in Sweeney Todd: The Demon Barber of Fleet Street. Johnny Depp was born on 9 June 1963, in Owensboro, Kentucky, United States. He’s currently 55 years old. During his childhood, he and his family lived in more than 20 different places, before settling in Miramar, Florida. He attended Miramar High School there, but eventually dropped out of high school after his parent’s divorce to pursue a career as rock musician. On December 20, 1983, Johnny Depp married makeup artist, Lori Anne Allison but their marriage lasted only for two years ending in 1985. In 1986, he got engaged to actress Sherilyn Fenn but they never married. Their relationship didn’t last long. During this time, he was also reported to be engaged with actress Jennifer Grey. In late 1989, Depp began dating his co-star Winona Ryder and got engaged after months. He also tattooed “WINONA FOREVER” on his right arm. But, this relationship also didn’t travel long eventually ending in 1993. After that, he changed the tattoo to “WINO FOREVER”. Post this relationship, he dated British Supermodel, Kate Moss from 1994 to 1998. Following his breakup from Moss, Depp began a relationship with French actor and singer Vanessa Paradis, whom he met while filming The Ninth Gate in France in 1998. They have two children, daughter Lily-Rose Melody Depp (born 1999) and son John “Jack” Christopher Depp III (born 2002). They separated in 2012. In 2011, Depp began dating actor and model Amber Heard, whom he met on the set of The Rum Diary. They got engaged in 2013 and married in a private civil ceremony at their home in Los Angeles in February 2015. The following year, Heard filed for divorce, which was finalized in 2017. His dress size is 7 (US). In 1984, Johnny Depp had his breakthrough role as Glen Lantz in the horror slasher film A Nightmare on Elm Street. Crime draIn 1985, he played Lionel Viland in an episode titled “Beasts of Prey” of TV series Lady Blue. Johnny Depp received acclaim for his roles in films such as Arizona Dream (1993), Sleepy Hollow (1999). Once Upon a Time in Mexico (2003), Finding Neverland (2004), Charlie and the Chocolate Factory (2005), Pirates of the Caribbean series (2003 – Present), Alice in Wonderland (2010), The Tourist (2010), Dark Shadows (2012), The Lone Ranger (2013), and Transcendence (2014), among others. Depp is one the highest paid actors in Hollywood. He takes $20 million upfront per film plus additional 20% of the backend. His total net worth is estimated to be $200 million. He is best known for his lavish spending habits and according to his management company, The Management Group, with which he ties till 2016. He sued the company in 2017 for improperly managing his money. 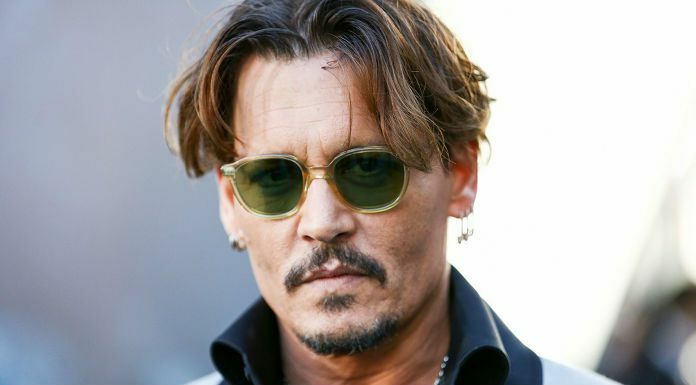 As per the company claims, Johnny reportedly spends $3.6 million per year to maintain a 40-person full-time staff, $30,000 per month on wine, $150,000 per month on bodyguards, and $200,000 per month on private jet travel. He also reportedly spent $75 million to purchase more than 14 homes around the world including a 45 acre chateau in France, a horse farm in Kentucky, several islands in the Bahamas. He owns several yachts, more than 45 cars, 12 storage facilities worth of memorabilia and an art collection that includes works by artists such as Andy Warhol. According to data available on the internet, he owns a 150 year old mansion in Somerset, England which is set amid Quantock Hills. He purchased his West Hollywood Mansion, located in West Hollywood California in 1996 and a villa named “Plan-de-la Villa” in 1998. He owns a yacht called “Vajoliroja yacht”, which is formed by the first two letters of his name, his then-wife Vanessa and his kids Lily Rose and Jack. Although he has several cars in possession, his favorite car is 1959 Corvette. Born in Kentucky, Johnny was brought up in Florida. He started his career as a musician who is good in playing guitars and drums. He has collaborated with famous singer for their albums and with various bands. It was actor Nicolas Cage who advised him to try acting. He was almost by the Disney executive as they couldn’t understand his portrayal of the fictional pirate Captain Jack Sparrow in the first installment of the franchise. Today, the franchise is one of Disney’s highest grossing film series. Depp is the founder and CEO of the production company Infinitum Nihil where his sister, Christi Dembrowski, serves as president. In 1999, he was honoured with César, France’s national film award. In 2008, Depp won a Golden Globe Award for Best Actor – Motion Picture for his role in Sweeney Todd. In 1994, he was arrested for having caused significant damage to New York Hotel suite. However, the charges were dropped against him after he agreed to pay $9,767 in damages. He has 13 tattoos, highlighting various important persons and events in life. He earned a Guinness Record for being the highest paid actor with $75 million in 2012. He had donated $2 million to Great Ormond Street Hospital as a gratitude for curing his daughter from E. coli, which resulted in temporary kidney failure.